Here at Silver Bay, we work hard to accommodate all types of holiday home owners. Whether you fancy yourself a holiday lodge or a luxury caravan, we have the properties that are going to ensure you have fantastic holidays year in and year out. Yet in this post, we’re all about those caravans. Perhaps the image of a traditional caravan springs to mind – but the modern day caravan is nothing like it’s older cousin. In fact, there are plenty of mod cons and luxurious twists to our caravans at Silver Bay that they’re perhaps better known as mobile homes. This blog is going to be entirely focused on what makes these caravans the perfect holiday home for those with a lust for life, so sit back and relax as we take you on a magical journey through the world of luxury caravans! How has owning a caravan changed? Back in the day, caravans were little capsules you could attach to the back of your car and explore the country with – and although these types of holiday homes still exist, the caravans at Silver Bay give you a lot more for your money. Our caravans are more like traditional holiday properties, complete with wood decking to spend time basking in the gorgeous Anglesey sun. Your caravan will feel like a home away from home, and many people who have spent time in these modern caravans haven’t felt like they’ve really been in a caravan at all. Modern caravans are also a lot bigger, coming with two or three bedrooms, as well as a kitchen dining area, living room, and a lovely bathroom and ensuite too. You’ll feel like you’re surrounded by luxury in one of our caravans, and if you’re intrigued to find out more about our modern amenities, take a look below at what you can expect owning a caravan! What mod cons can I expect in a modern day caravan? Some of the main developments in the caravan department reside in both the bathroom and the kitchen area. Now, your mobile home will come fully fitted with a functioning bathroom including flushing toilet and lovely shower, as well as gas hobs and an oven, allowing you the ultimate culinary freedom. But the mod cons don’t stop there. The modern world is all about connecting, which is why you can get access to wifi in our caravans. This means you can escape without leaving the world behind, or you can switch off anyway and shut the world out – it’s entirely up to you! Furthermore, our caravans come with en-suites and central heating, meaning you gain access to everything you need to be comfortable in your home. As well as the above benefits, you can also expect a glorious interior to rival the finest of holiday homes. Here at Silver Bay, we ensure only the best materials and finishes are applied across all our offerings. This means you gain access to the ultimate in luxury no matter what type of holiday home you choose for your and your family. So if you’re sold on a luxury caravan right about now, the next question on your mind is probably why should you choose Silver Bay? Below we’ve listed some of the best things on offer here at our beautiful holiday park escape. Silver Bay is one of those destinations that just keeps giving. Every time you visit, you’ll find something fun and new to do and enjoy, and the whole family will love it. Complete with a private, award-winning beach, we’re always striving to ensure our homeowners have the utmost luxurious break each and every time they come and stay with us. Because of this, we’re always improving. We recently finished a £1.6 million spa development, and our bar and bistro has also undergone a major makeover to ensure our owners have the perfect place to hang out and make new friends. We’re also all about the children at Silver Bay, and during the holidays, you’ll find countless fun activities for them to enjoy. Whether your child fancies themselves the next Paul Hollywood or Mary Berry with our baking classes, or perhaps are more interested in foraging or playing in our children’s park, we have something entertaining on hand that they’re sure to love. Why did you choose to buy a caravan at Silver Bay holiday village? Silver Bay really captured our hearts as soon as we entered. It’s a fantastic holiday park and as soon as we saw the caravans on site we knew it was for us. What we really like about caravans at Silver Bay is the amount of space. Some parks crowd a lot in one place, but Silver Bay have taken into consideration privacy of their residents and it really makes a huge difference. On top of this, the views are also amazing. We got to choose between a sea view, green fields or high views over the mountains. Each one was something to marvel at, and the park really does cater to all types of holiday home owners interests. 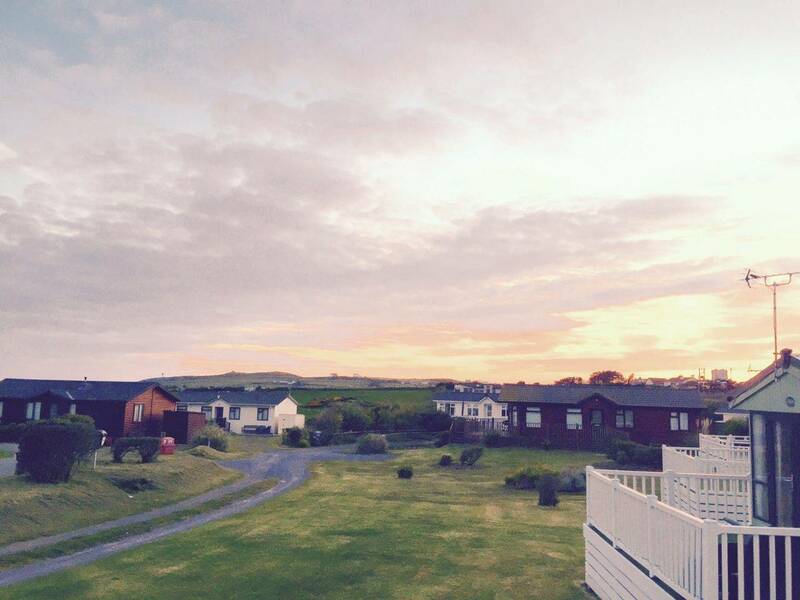 What’s the best thing about owning a caravan at Silver Bay? There are so many great things about owning a caravan, and it’s a place my whole family loves coming together in. For one, everything is more compact and the kids love it. It’s also very cosy making family time a really enjoyable experience. We had no idea that caravans had so features that they do these days when we first started looking. We even have an ensuite and central heating! As well as this, we don’t even need to do any maintenance. Everything is already fitted and ready to go, and Silver Bay themselves sort all of that including the gardening. Plus they recently re-laid the roads around the caravan bit of the park so that’s a great benefit too. You can also opt to have decking on your caravan and it makes it feel twice the size. We now have great indoor and outdoor space that we love. Would you recommend a caravan to others? And if so, why? I would definitely recommend a caravan to others and I do so already all the time. They’ve come on so much, even in the past five years or so, and there’s nothing that brings the outdoors in more than a caravan. You feel part of nature whilst also benefiting from loads of luxuries. It’s the best type of glamping ever, and the kids love playing around it whilst sunbathing on the decking or relaxing in the luxury of it. It’s the best decision we’ve ever made for our family! Interested in owning a caravan at Silver Bay? If you’re intrigued to find out more? Why not get in touch with Silver Bay today? You can come and visit our Anglesey retreat to see what all the fuss is about and discover for yourself what makes our holiday park so special. Give us a call on 01407 860 111 to find out more or fill in our form and we’ll call you back. You can also download our free e-brochure to get a closer look inside our homes and park. This is the first time in a while we’ve had some of our amazing caravans available, both second hand and brand new – so don’t miss out!